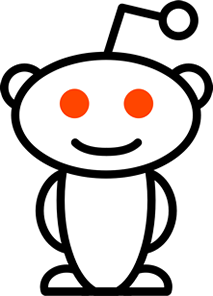 reddit is currently the talk of the online community world. For me, it’s a lot of old lessons coming back to the surface, yet again. Which is why I haven’t written much about it. But I saw a great comment on reddit by Slickdeals chief product officer Bryant Quan. I’m a long term user of Slickdeals, and I found his executive-level perspective to be quite compelling. His thoughts are re-published here, with permission. I was one of the original founders, former CEO and now the Chief Product Officer, and as such I’ve had the opportunity to put a lot of processes in place, as well as help ask the right questions whenever we do things. Naturally all communities have their nuances and differences, but in the end, it boils down to respect. Respect the community: honor your users and content contributors for the work and effort they do. Often this results in us taking a tradeoff in what we call “technical debt vs. community debt,” where instead of creating friction for our users, we take on a technical burden instead. For instance, we launched a redesign recently, and instead of forcing everyone over, we maintained a classic version of the website. We told ourselves that we would maintain two versions of the site for the foreseeable future and do our best to improve the redesigned version to the point that it compels people to switch (“lets make it so much better that they willingly switch”). Is what we’re doing impacting the way the community uses the website? How does it impact all the different types of users: casual users, frequent visitors, lurkers, content contributors, power users, etc. Are you moving someone’s cheese? Are you changing something that users are very used to or have been conditioned to? Is there a way to transition it smoothly? Does it impact the way our mods use the website? How about our editors or other internal staff? Does it impact the way our content contributors use the website? Does it impact the integrity, trustworthiness or authenticity of our brand, content or community, even if it’s just the perception of such? Does it impact the sense of community, their sense of ownership, pride or involvement with the website? Are you addressing the needs of the community, especially ones that were explicitly requested? Did you make a tradeoff? If possible, can you address both your goals and the community’s needs at the same time? At the very least, do not ignore what your community is asking for. What do you anticipate the negative feedback to be like or about? How will you respond to it? Are you releasing a “complete” product (is it finished? ), if not: what is missing and why did you choose to omit things? How are you communicating these changes or reasons to the community? Did you solicit their feedback before, during and after the change? We’ve learned that communication is key: frequent and open communication. Users may not always agree with us, but they are usually reasonable and will at least understand it, if you explain why you need to do something. One of the best ways to manage change, in my opinion, is to solicit that feedback and actually act on it – quickly. You won’t make everyone happy, but the fact that you listened, considered and ultimately acted, lets the community know that you’re listening and working with them. What is the plan immediately after the change? Who will handle interacting with the community, collecting the feedback and making action items for them? Do you have resources set aside to quickly respond to the user feedback and fix bugs or issues as quickly as possible to minimize the risk/impact to the community? Admittedly, we’re not perfect either, but we’ve learned over the past years that if you’re willing to engage with your community, they can be pretty cooperative and understanding, so long as you actually put a good faith effort into taking their feedback, listening to their concerns and being responsive in a timely manner. And as you probably noticed, since reddit interim CEO Ellen Pao actually communicated on reddit, the nature of the responses overall is markedly less hostile – because once you connect with someone on a personal level they become much more reasonable. The community is vocal because they’ve invested into this community, and they feel a part of it. View people’s feedback as passionate (even if it’s harsh) because they care, and because they want things to improve. Bryant Quan is the chief product officer at Slickdeals, the largest online community dedicated to sharing, rating and reviewing deals and coupons. I really like the notion of “community debt,” because like technical debt it’s real — you will need to invest, at some point, to pay it off. Yeah, I thought it was smart, too. Thanks for commenting, Joe! This is all good advice that will work for some communities, but I’m not sure reasoning with the community is a feasible approach for a community built on being the wild west of the Internet. Big chunks of Reddit have thrived on being cruel and borderline illegal. How do you tell those people to stop doing precisely what they’re there to do and have been rewarded for doing? I suspect that, by asking that series of questions, you might find that getting rid of the darker side of reddit would not be a feasible option. As such, you wouldn’t make that change. I’m going to talk a bit more about the foundational issues with changes like this tomorrow here in a new article.